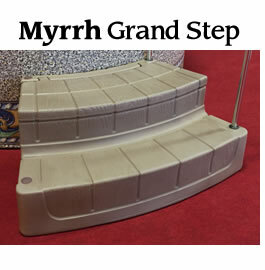 With a sturdy presence, the Grand Entry Steps provide the ultimate support for easy entry and exit of the Portable Baptistry, and are the only steps that accommodate the installation of the assuring HandRail. 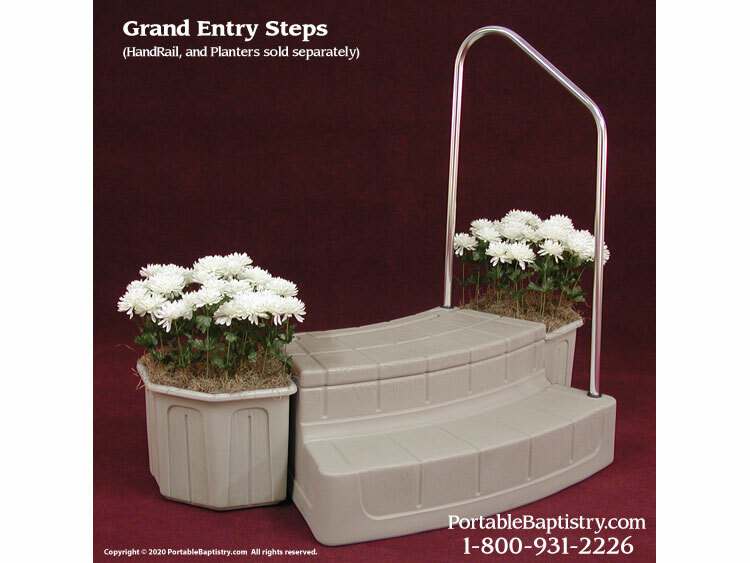 Additionally, the Grand Entry Steps incorporate a handy storage compartment for your Portable Baptistry accessories, Thermometer, Drain Pump, Hoses, etc. 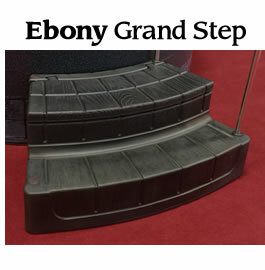 keeping them in one convenient place. 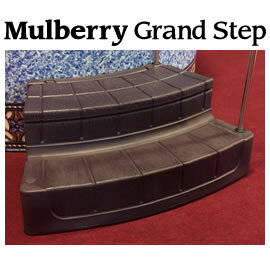 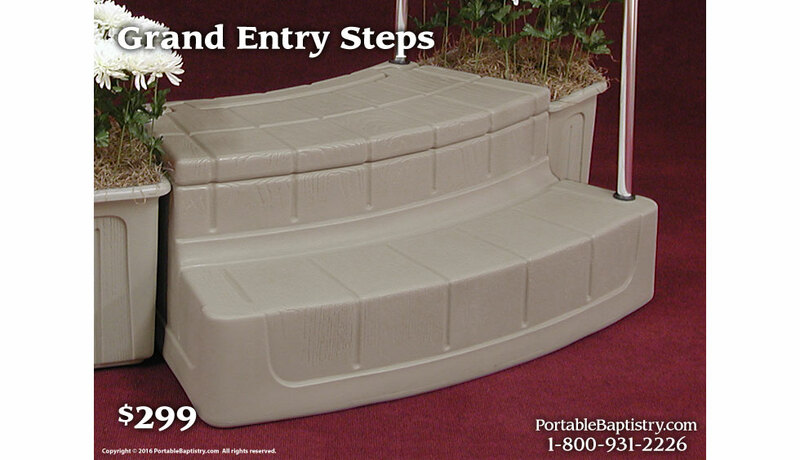 These features make the Grand Entry Steps the preferred steps for the Portable Baptistry, and often a popular add-on purchase for churches that want a second set of steps for exiting on the opposite side of the Baptistry. 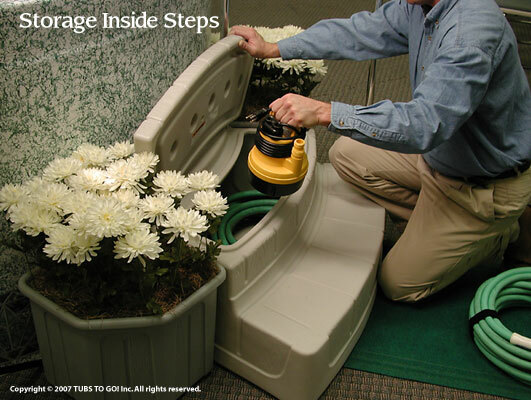 NOTE: HandRails and Planters are sold separately.